The luminaires of the IPL series are designed to provide backlight with high uniformity at low power consumption. 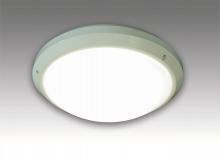 The series is suitable for installation to ceilings. The compact dimensions of the series combine excellent thermal characteristics, providing long lifetime of the luminaires with quick and easy installation.The series is applicable for illumination of corridors, premises with general purpose, areas in residential and public buildings.